Months and months ago, I sat poised over my keyboard, waiting for inspiration to strike. My task that day was to write a drama for children about the context of the giving of the 10 Commandments (we are nothing if not ambitious here at Vive!). The point of the drama was that the people of Israel were liberated from their oppression in Egypt before they were given the Law, a fact that the commandments themselves highlight. (Identity before behaviour, a key idea in the New Testament, too). Anyway, I had the idea of an Israelite family talking about the Law and remembering the events of the Exodus while leafing through a family album of photos (anachronistic, I know). I imagined a family at one side of the stage and a huge “photo-frame” at the other, which would be uncovered now and then to reveal “frozen” actors, representing some part of the story (the oppression in Egypt, the Exodus, the first hard days in the desert). At one point, the actors would unfreeze and come out and act some more of the story. Fast-forward to today. I was scrolling through photos of this year’s circus and there it was, the idea I had all those months ago, working, on the stage! Mientras todo esto ocurría en Colombia, yo me estaba dando cuenta que no me gustaba trabajar en la universidad tanto como lo esperaba, y estaba experimentando una sensación rara de impaciencia que a veces viene antes de un cambio radical. 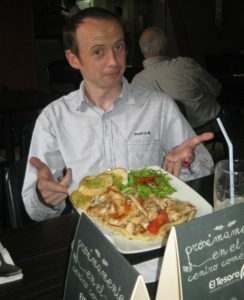 Como muchos saben, yo nací en Perú y viví allá hasta mis siete años, pero nunca había regresado a Latino América como adulta. Un día fui a ver una película acerca de un viaje por Latino América y empecé a sentir muchas ganas de regresar y un año después, estaba en un avión hacia Colombia para visitar unos amigos. Durante las tres semanas de paseo me preguntaron si consideraba enseñar inglés en el Seminario Bíblico de Colombia, y conocí a Simón. También me impactó mucho la belleza natural del país (aquí está la primera foto que tomé en Colombia) y la amabilidad de la gente. Año y medio después, empecé a enseñar en el Seminario (Leo era uno de mis primeros estudiantes) y seis meses más tarde, visité la Costa Atlántica por primera vez, participando en una misión de corto plazo con Simón. 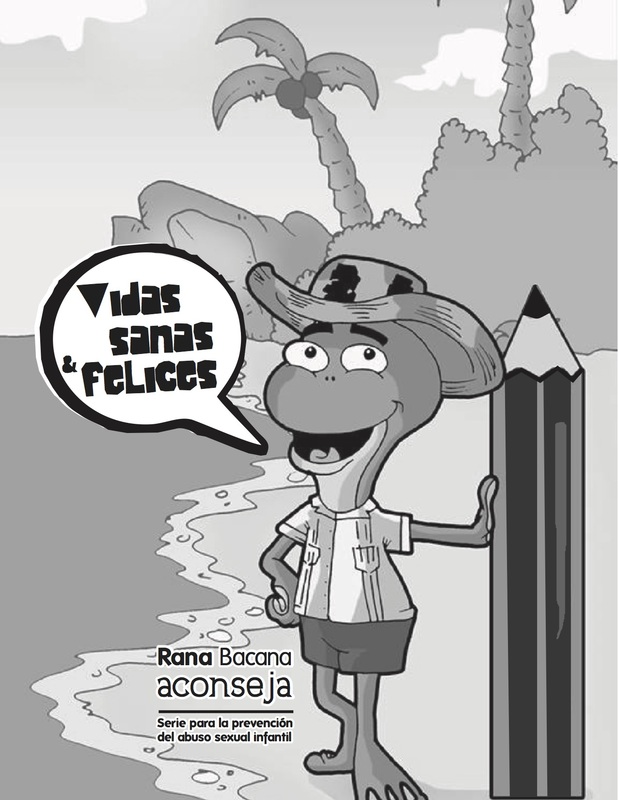 Pero si me hubieran dicho que iba a trabajar con Rana Bacana no lo hubiera creído. Haz clic aquí para donar con una tarjeta de crédito por la página de la misión Latin Link. O consigna a la cuenta de la Fundación: Fundación Comunidad Vive, Bancolombia Cuenta de Ahorros No. 00934997212, NIT. 900797943. 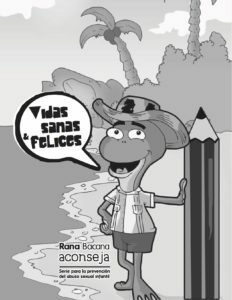 Si decides hacerlo, me cuentas, a esta drección fionaARROBAvive.org. Comunidades llenas de niños, iglesias locales dispuestas a abrir sus puertas, un líder visionario y seminaristas con el deseo de servir en una parte de su país afectada por el conflicto: Todos elementos importantes en los primeros años de la historia de Vive. 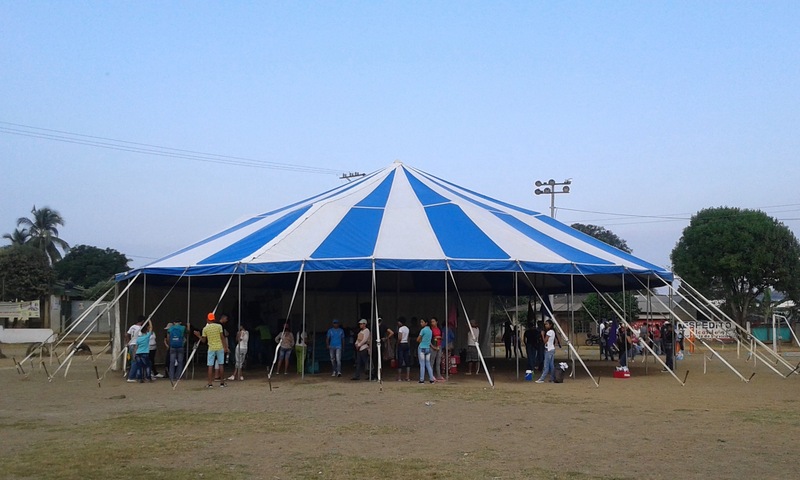 Una carpa de circo, ¡claro! En 2005 Simón pudo comprar una carpa, en la cual miles de niños han escuchado las buenas noticias de Jesús de una forma accesible. 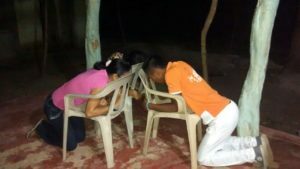 Adultos desplazados han dormido allí, se usó en Mocoa, se han hecho noches de paz y reconciliación en ella y una vez ayudé a lavarla. 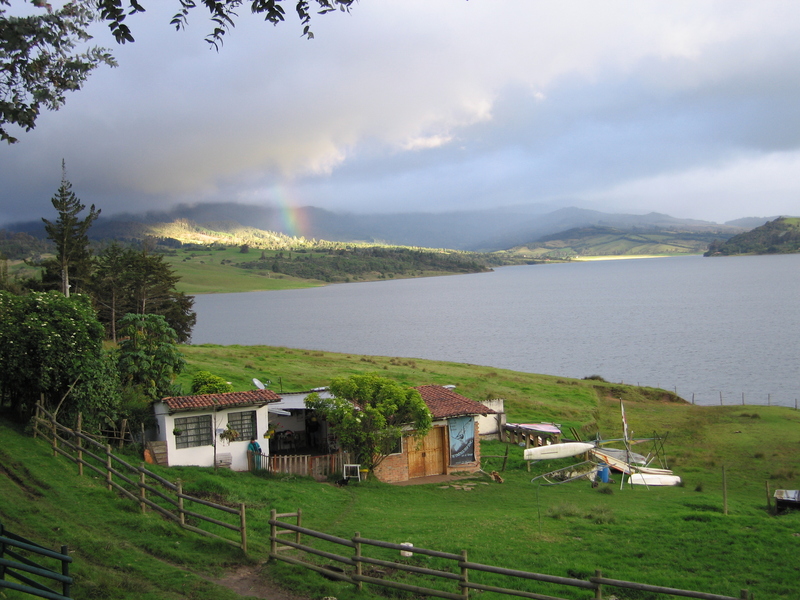 More of evidence of Colombians’ general awesomeness comes from the camps we hold for our leaders every year. The camps run from Friday evening to Sunday lunchtime and the Saturday evening is the time for the leaders’ talents to shine. Last year, we studied the life of Paul and the leaders were divided into groups to dramatize episodes from his life, which they did with great gusto. who should be a Children’s Club leader and what process should they undergo to be accepted into the team. what should be our policy with regard to photos and other information about children. how can we ensure that every leader has the necessary training in this area. how can we ensure that children are safe at all times in a Funky Frog Club. what steps should we take in the case of misconduct and what the repercussions should be. Quite tricky things! But the dramatizations were brilliant, often getting to the heart of the problem and as a bonus, showing me what the leaders had already internalized in the previous Child Protection Training. There was some wonderful improvised acting, clever scenarios even some multimedia presentations. All done cheerfully, in virtually no time and with virtually no resources. If you have been paying attention, you’ll have realized that I don’t work on the Vive curriculum any more. Since the beginning of this year, I’ve been focussing on two areas: Child Protection and fundraising. We needed to keep training ourselves in this area. We needed to focus on prevention, first. Many leaders had been victims of abuse, themselves. I st arted reading around the issue and last year did some online training, offered by an amazing Argentinian ministry that works in this area. In 2014, we were able to acquire some materials that had been produced in Peru to teach children how to protect themselves from abuse and we adapted them for our Clubs. Now, every child in a Funky Frog Club has received a nine-week course in how to identify and avoid risky situations (called Happy, Healthy Lives). We later developed a course (called Happy Healthy Lives 2) on how to be safe online. As for helping the leaders, we have managed in a very small way to get leader professional help but often all we have been able to do is listen when someone tells their story (which often begins “I’ve never told anyone this before…”). This year I’ve been working on developing our Child Protection Policy, pulling together all our experiences from the last four years and learning about fundraising: looking for possible donors and preparing funding applications. Support Vive here and here. I’m sorry if I’ve given you the impression that this was all Simon and Leo’s work with a bit of help from me. In fact, scores of people have volunteered their time to the Vive Foundation and the Funky Frog Clubs. We have received missionaries from Europe and employed several local people. At the moment there are three full-time and four part-time members of staff between the Medellín and Coast offices and we employ an illustrator and two finance people part time, too. Yubelly volunteered with the project during her time as a seminary student and then worked for us once she graduated. Committed, loyal and highly organised, we have Yubelly to thank for the fact that everything that belongs to the Foundation is neatly labelled. 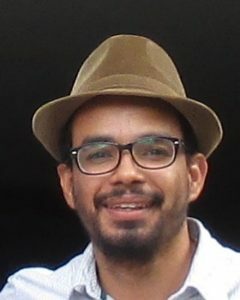 José Francisco (aka Panky) was another student volunteer who worked with us after he graduated. Theologian and graphic artist, he made a huge difference to the design of our materials and many of his suggestions are now part of the ways things are done. Mark, a fellow Latin Link missionary, has not long returned to the UK and his ability to instantly connect with the people on the Coast and his unfailing willingness to help will be missed! Donate here or pre-order here to help keep us paying those salaries. Here’s a list of other developments in the running of the Funky Frogs, all designed to make the programme effective and sustainable. Facilitators: Children’s Club leaders trained to train leaders in new areas. 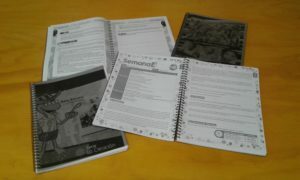 Curriculum constructors: Children’s Club leaders trained to participate in the writing of the Bible teaching materials. The Newsletter: A bi-annual newsletter sent to all the Clubs, welcoming the new Clubs, announcing the next events and including advice and encouragement for the leaders. Visita Club: a visit to evaluate and encourage a Club. Vive Relevante: a yearly taining event held in Medellín for local Sunday School teachers. 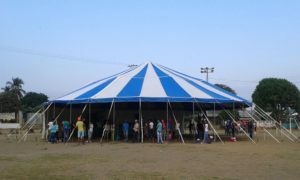 The Circus: a yearly training event in which representatives from all the Clubs learn how to run a camp for the children in their Clubs. Pastoral Phone Calls: encouraging phone calls to the facilitators and constructors by the members of the team in Medellín and Sahagún (our office on the Coast). Monthly prayer times: what it says on the tin. Retreats for Facilitators and Constructors: usually held once a year. Phew, not bad for an organisation with only three full-time paid members of staff. Donate here or buy here to keep it all going. My task for my first few years in Vive was to manage the development of the curriculum for the teaching slot in the Sunday meeting. The challenge was to tell the story of the Bible in six episodes (Creation, Fall, Israel, Jesus, the Church and the New Creation) in a year. Which stories to tell, which to leave out, which to tell every year, which only once, how to recruit and train writers, and how to link the stories together with some sort of narrative thread, these were the questions that preoccupied me all the time I was in charge. Now my successor and neighbour in the office, María del Mar, has to wrestle with them! Probably no task of my life has stretched me more but how satisfying when the leaders started reporting that the children were enjoying their classes as never before and responding to what they were learning. 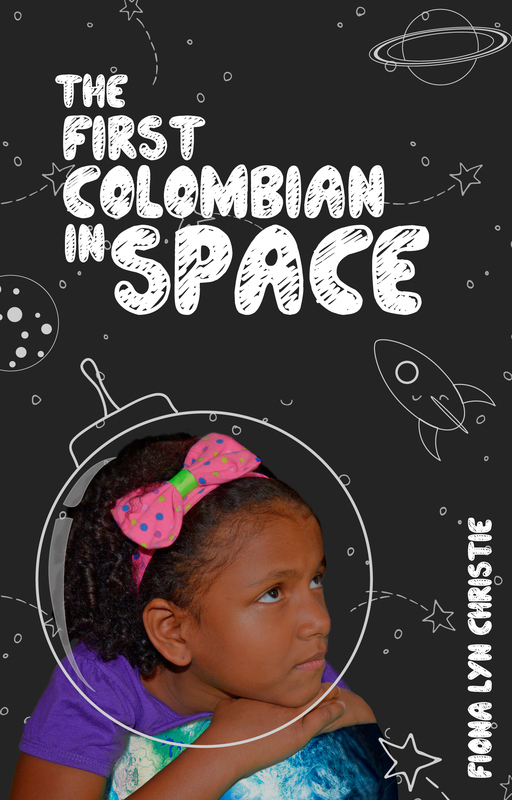 Donate here to keep the children of Colombia supplied with dynamic, culturally-appropriate, beautifully-designed and theologically rigorous Bible lessons and click here to pre-order my short story, also in support of the Vive Foundation and the Funky Frog Clubs. After the first Club was established and the Club’s activities defined, the next step was to start three more pilot projects in churches on the Coast. 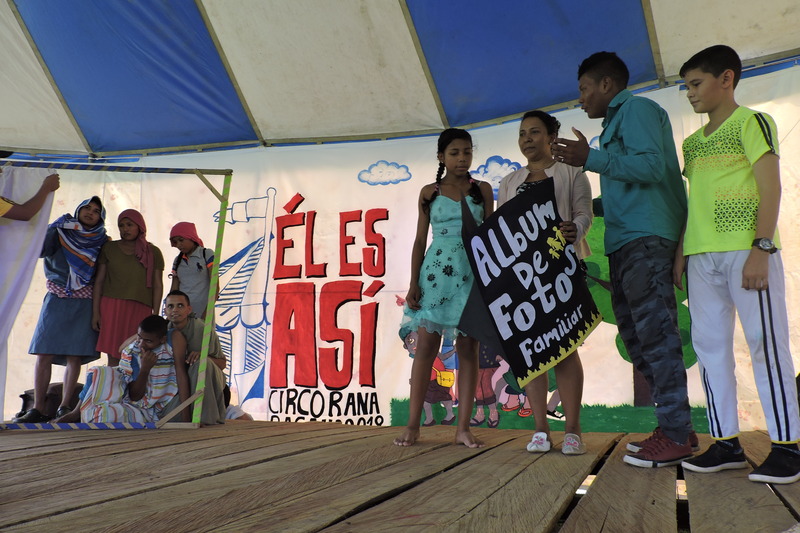 I arrived back in Colombia in May 2011 and after a month’s mission trip, I started work in what we were then calling Vive Kids. My first task was to visit the existing Clubs to get a feel for the project. Today there are 40 Funky Frog Clubs, not including what we call “Pirate Clubs”, Clubs run by leaders who have learned the model informally from an official Funky Frog Club nearby (every so often the Pirate Clubs are “demobilized”, receive the official training and formally become part of the programme). 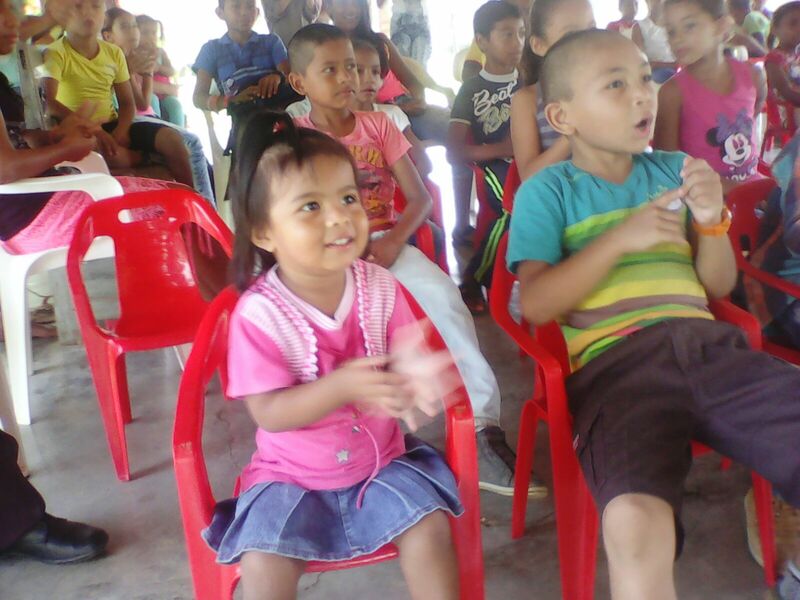 Most Clubs are on the Coast but we are experimenting with the model in Medellín and dozens of churches around the country use our Bible curriculum. 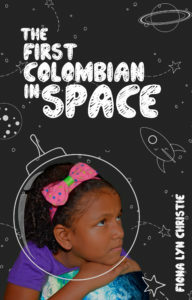 Pre-order my short story about a little girl growing up in a Funky Frog Club. The Extreme Afternoon is a key element of a Funky Frog Club but of course, there’s more. On Sundays there is the Sunday Meeting (not School!) in which the the leaders and children worship God together (this part is called Todos Adorando or All worshipping). They then divide into three groups (for children aged 3 to 5, 6 to 8 and 9 to 11) to learn the Bible (called Caminando con Jesús or Walking with Jesus). And how do they learn the Bible? Following the Funky Frog curriculum, of course! More about this tomorrow. 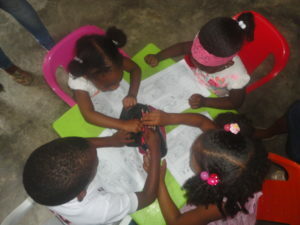 The final and crucial activity of a Funky Frog Club is the Leaders’ Prayer Meeting in which the leaders pray for each other, for the activities of the Club and for the children’s needs. Think about all this commitment for a moment: Running around in the blazing heat for a couple of hours on a Saturday, participating in the worship and teaching time on a Sunday, the hour of prayer, possibly on another week night PLUS any preparation required for the Sunday lesson…being a Funky Frog Club leader is a serious thing. But then, our Funky Frog Club leaders are seriously committed! Click here to support the Vive Foundation and the committed leaders of the Funky Frog Clubs.